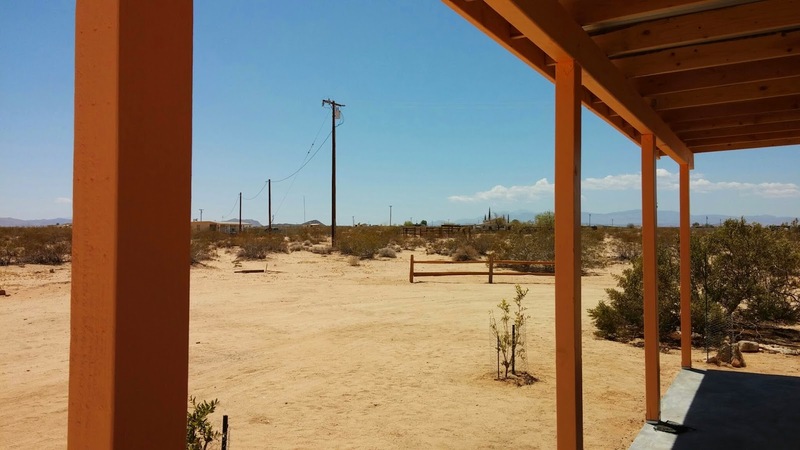 We went to Far North Joshua Tree for the Memorial Day weekend - three nights and lots of work. The contractors built the roofs over the patios and the wood needed to be primed. I'd picked a bright orange - poppy glow, and tested it on a window frame. We asked them to tint the primer at Home Depot and then ended up loving that color so much that we switched to it. 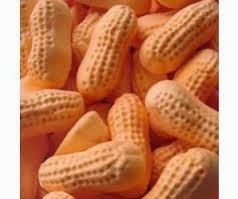 It's a much mellower orange, kind of like those weird marshmallow peanuts my grandma used to always have on hand. I never would have selected it - it looks kind of bland, the kind of color the landlord paints the building by mixing all his various paints together. But it ended up looking really good - it blends with the sand really well and doesn't conflict with the scenery. The camera makes the orange look brighter than it is. Here's the south porch. 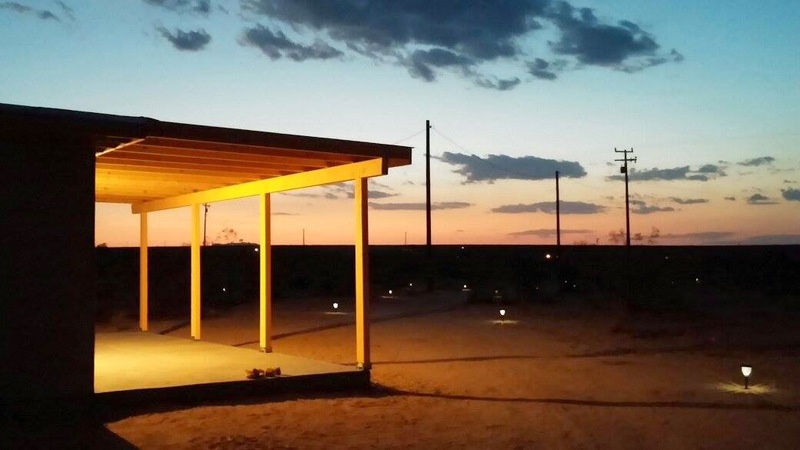 And here's the north porch at sunset. I think we chose the perfect color. It was a hot weekend and we only did a little painting each day. Today was hotter than the previous two days - 98 degrees - about 85 inside. I don't know why but I couldn't shake the heat and felt pretty miserable. Still, feeling really good about what we did. Custom crayola for "weird marshmallow peanut orange" is in order.